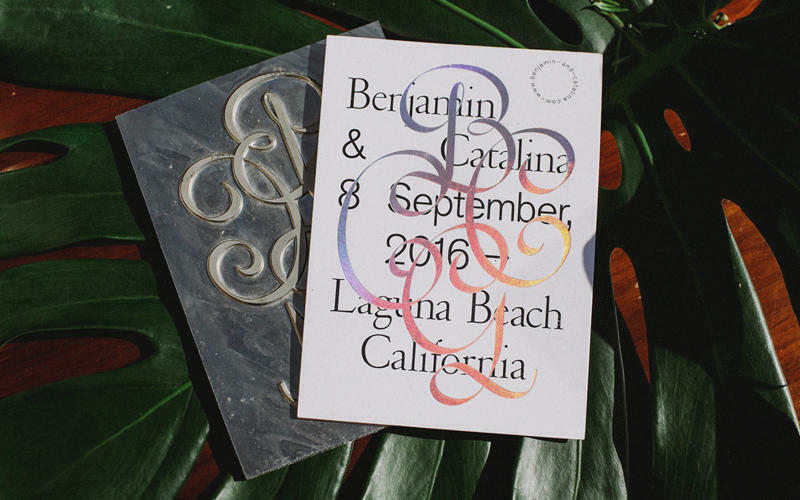 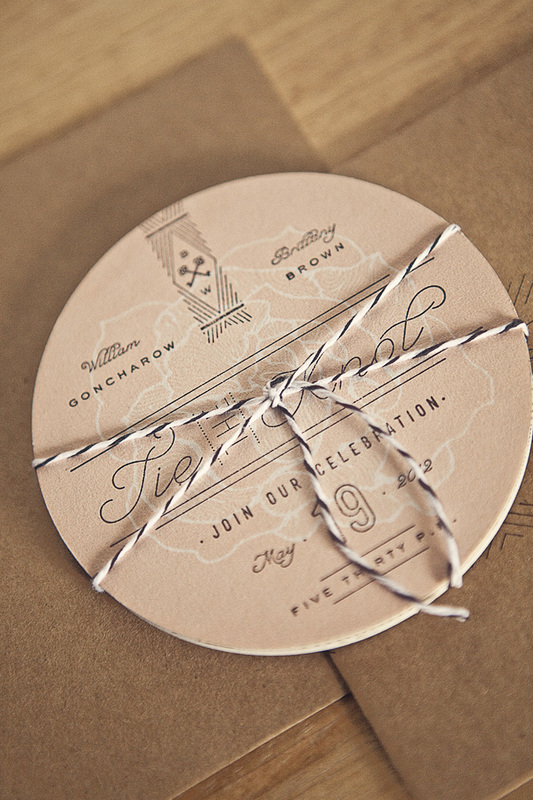 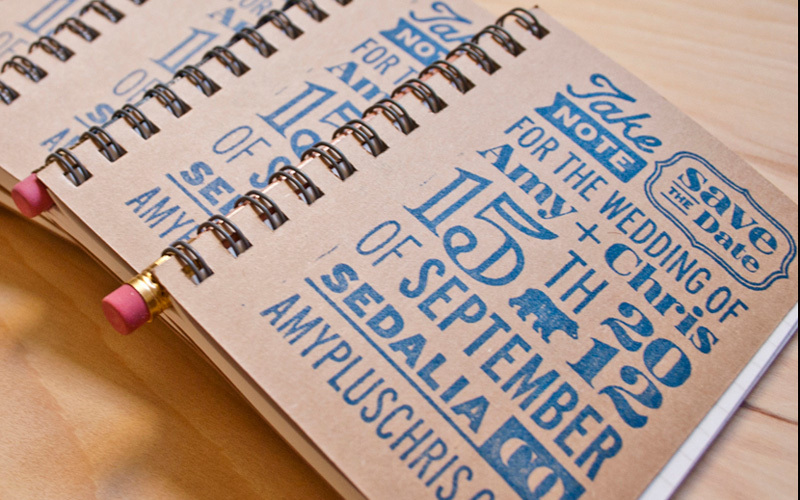 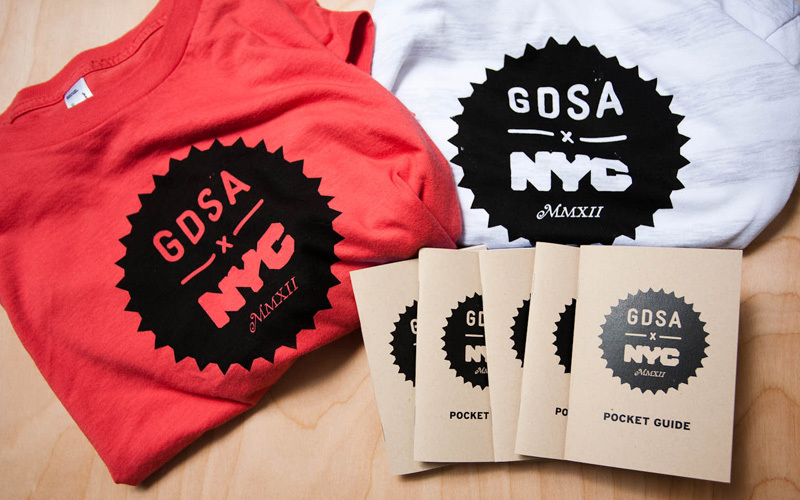 Brittany Brown and William Goncharrow wanted a custom invite set for their wedding. 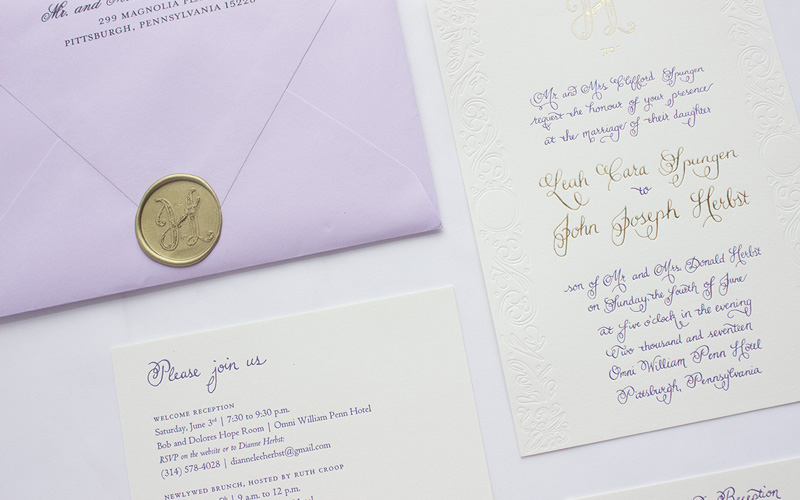 The theme for their wedding was "secret garden", hence the floral elements and skeleton keys in the logo. 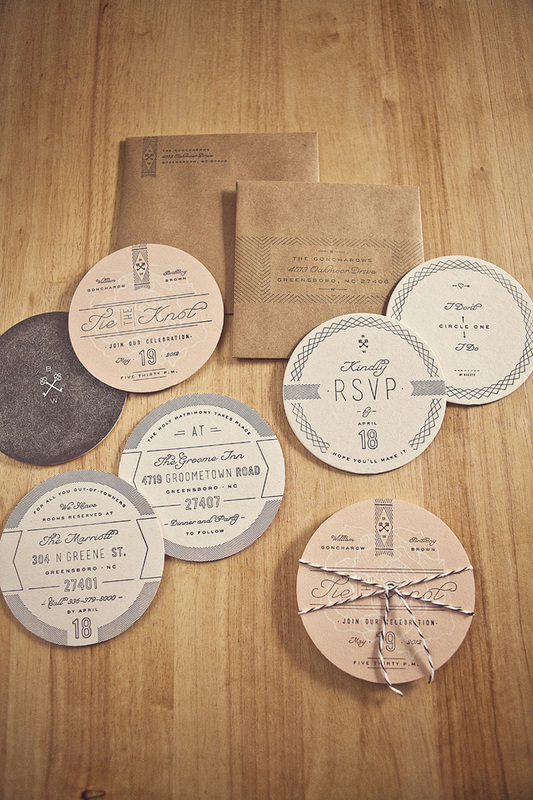 I suggested a mix of letterpressing and stamping on round coaster stock and serving them up as a set to their invitees. 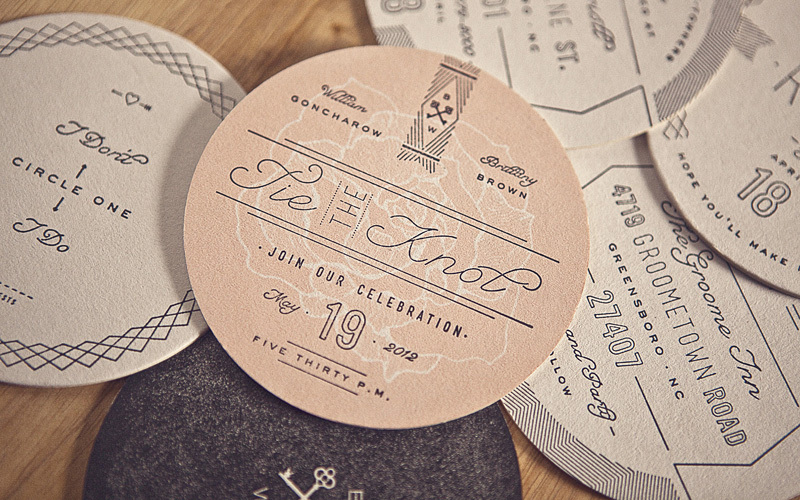 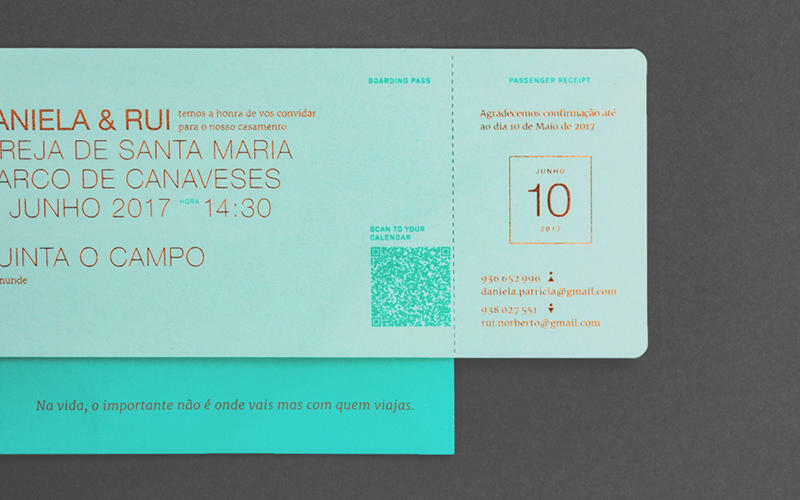 The teal and pink floral elements were letterpressed, and the black elements were hand-stamped. 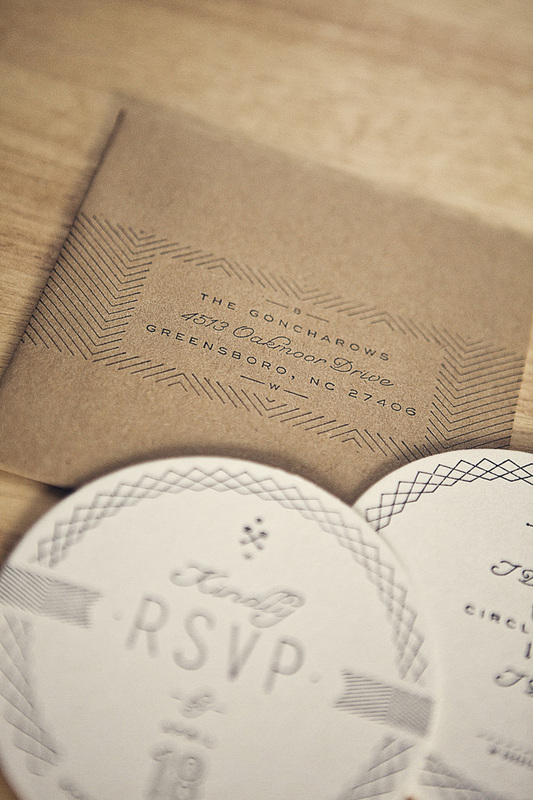 To make the cost more effecient for them, I got them involved with the stamping. 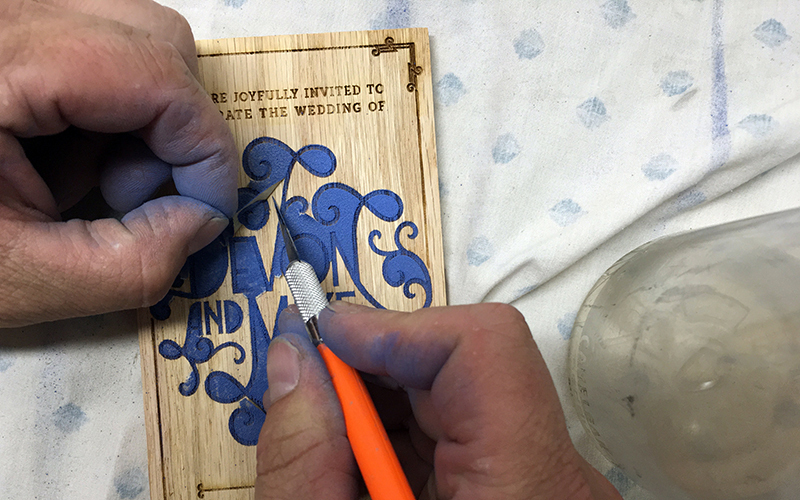 It not only saved money and time, but they loved the experience and felt like they contributed to the piece as well. 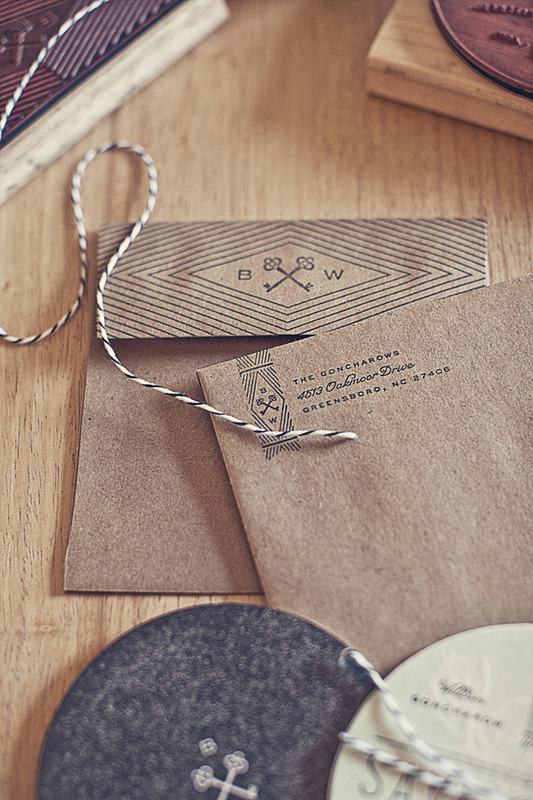 The black art was all hand stamped using photopolymer plates and letterpress inks. 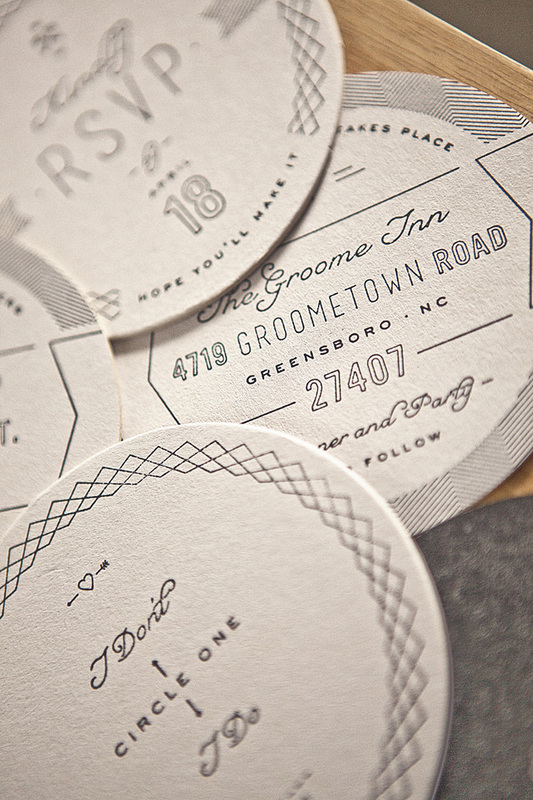 It would have been hard to stamp the coasters with traditional stamps since you can't see through the wood to line up the graphics on the card with any good registration. 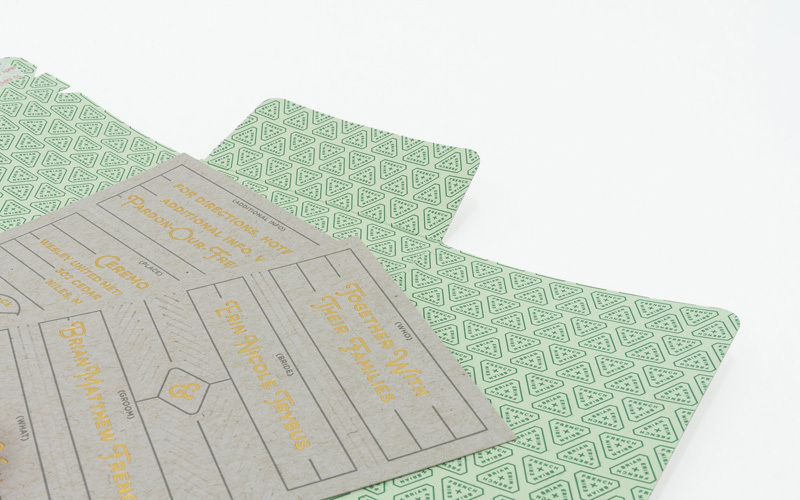 I was able to adhere the polymer's to acrylic and stamp each card with good registration. 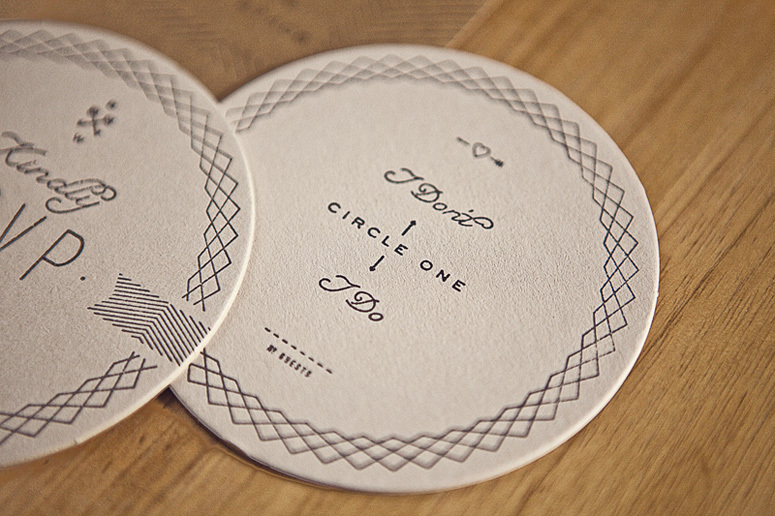 There are few things more romantic than a secret garden, and these coasters capture the mood with detailed precision. 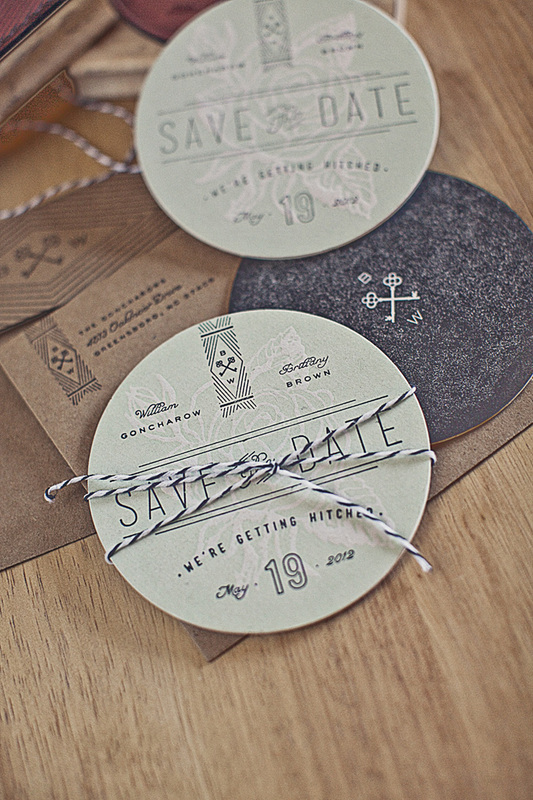 They're just perfect for setting down a glass of your favorite love potion.